Shipping companies Briese/Leer and Harren & Partner/Bremen have initiated a pool for heavy lift vessels in the form of a joint venture. This pool consists of 15 units for the time being and will be managed by the respectively connected affreightment companies BBC Chartering and Combi Lift. The operation is already in service under the name "BHS Pool Weser-Ems". BBC Chartering provides its leading worldwide freighting network for multi-purpose and heavy lift shipping while Combi Lift adds its unique project competency. The pool vessels shall hereby benefit from an above average employment as well as profitable individual trades. "All involved vessels can expect to see higher profits as the freighters are concentrating on their respective core competencies", affirms Roelf Briese, CEO of Briese Schiffahrt. Due to the current market situation, vessel owners were forced to accept painfully low freight rates during the last months. "With the pool’s affreightment companies being part of the shipping groups, they will show substantial ownership interest in the vessels’ employment. Therefore, achieving sufficient freight rates will always be of highest priority to all parties involved", confirms Dr. Martin Harren, Managing Director of Harren & Partner. The current heavy lift market is shaped by an oversupply of young vessels whilst the demand is recovering slower than expected. The resulting drop in freight rates is worsened by affreightment companies who do not have particular ownership interests in the vessels and are exempted from fixed repayment obligations by their banks as part of so-called "pay-as-you-earn"-agreements. For the first time, Briese and Harren & Partner now face the market together through their new joint venture, offering ship owners a strategic concept for consolidation. Once established in the market, the pool will be accessible to other ship owners. "The BHS Pool Weser-Ems is an interesting consolidation concept, representing a straight forward strategy for today’s ship owners. At the same time, our freighting services are becoming more attractive for our clients, due to the bundling of knowledge and competencies as well as the advantages of a larger fleet", remarks Svend Andersen, CEO of BBC Chartering. "It is our foremost goal to achieve pool rates that beat the market on a regular basis. All involved companies are committed to this", Anders Poulsen, COO of Combi Lift in Denmark, agrees. Globally acting shipping companies Briese and Harren & Partner see no alternative to the consolidation of the supply side and refer to regional virtues by using the pool name "Weser-Ems" (rivers flowing through the cities of Bremen and Leer). Both family owned companies emphasize that a fair and open relationship based on partnership has always been the foundation of business in the region between Weser and Ems. To them, this especially means working together during hard times. Shipping company Briese has established itself in the maritime world within the last 30 years. The company counts among the biggest shipping companies in Germany with its 130 seagoing vessels, 170 employees ashore and about 2.000 seafarers. Briese Group’s BBC Chartering markets a fleet of about 150 units of multi-purpose and heavy lift vessels with lifting capacities of up to 800t and ship sizes ranging between 3.500 and 37.300 dwt. BBC Chartering operates 28 offices worldwide and has about 370 employees. The Briese Group covers a substantial amount of value added activities in the field of maritime logistics. 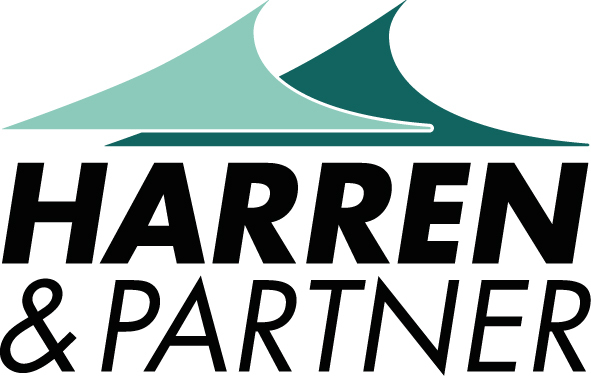 The Harren & Partner Group has been successful in the sector of ship management of various shipand cargo types for 25 years. Currently 160 employees ashore as well as 1.800 seafarers on board maintain a fleet of about 54 vessels. The company Combi Lift with its headquarters in Denmark is a joint venture of Danish J. Poulsen Shipping and Harren & Partner. Since its foundation in 2000 it has become an expert in shipping of heavy lift and project cargo including transport engineering. Combi Lift accesses a fleet of heavy lift vessels of various sizes as well as highly specialized semi-submersible dock ships.